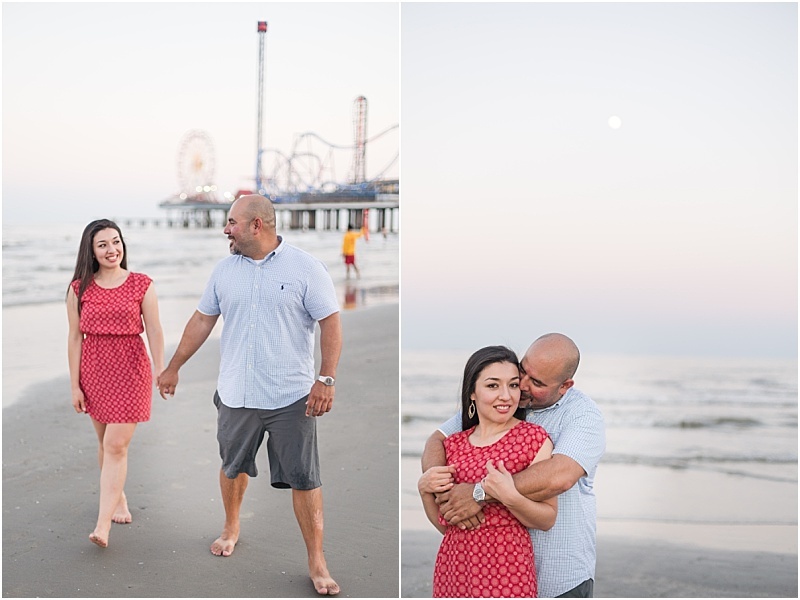 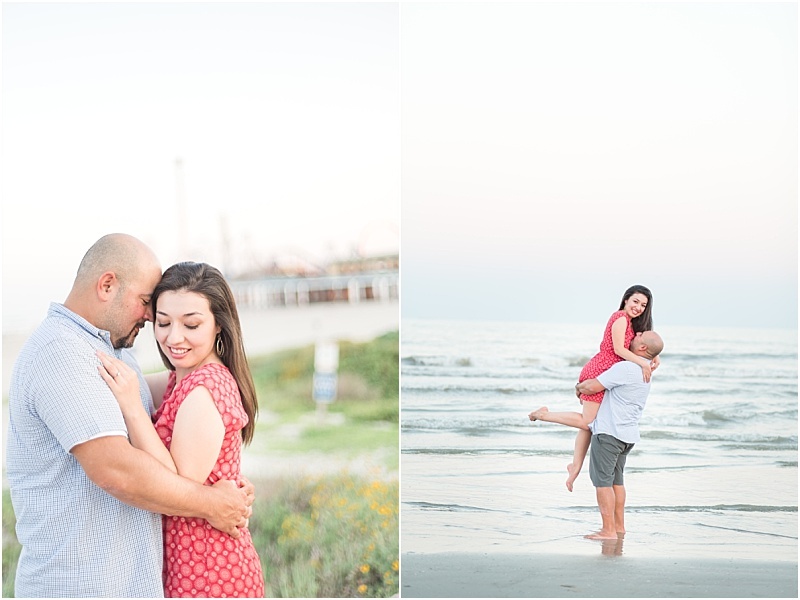 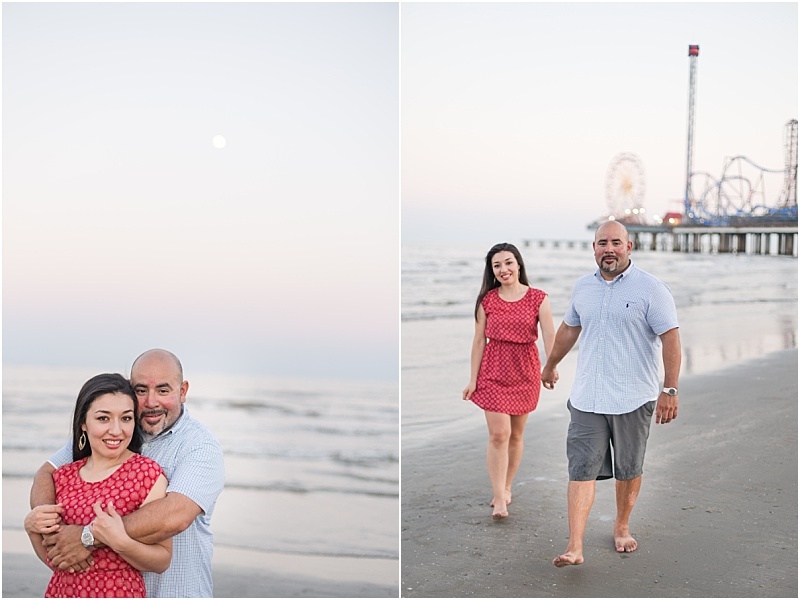 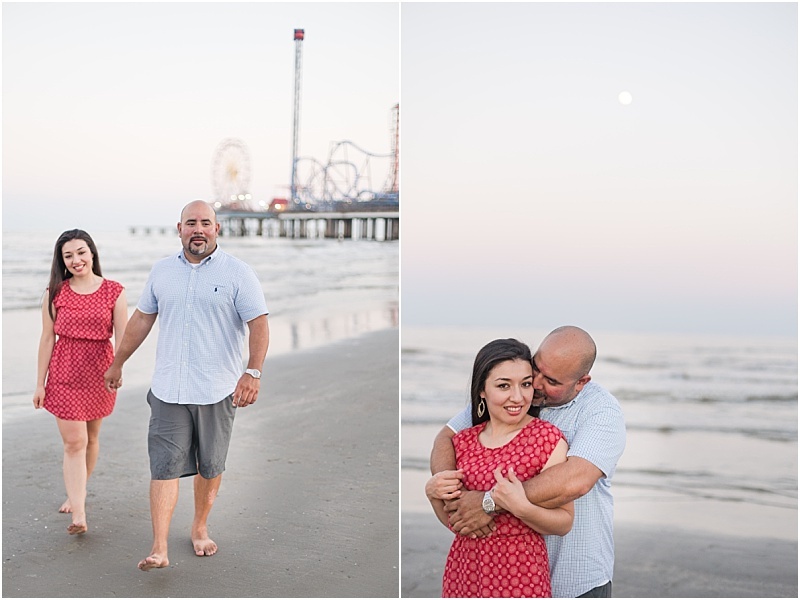 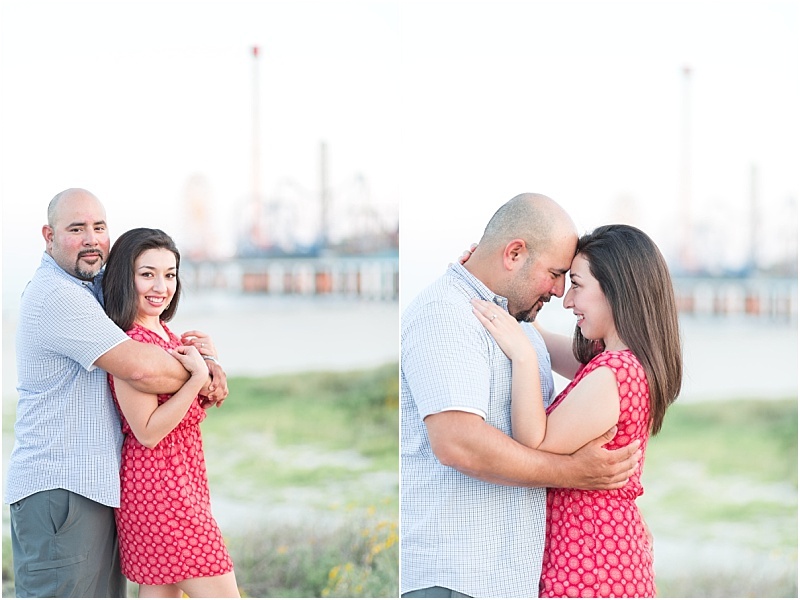 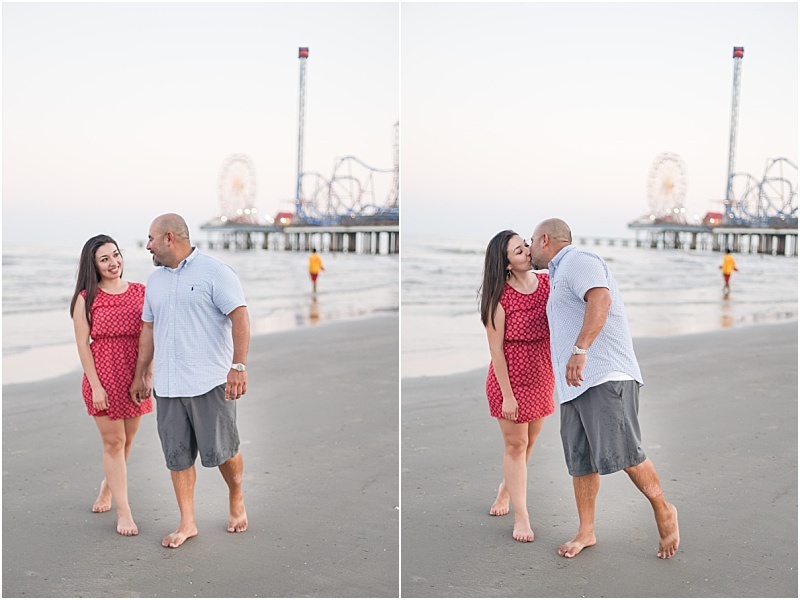 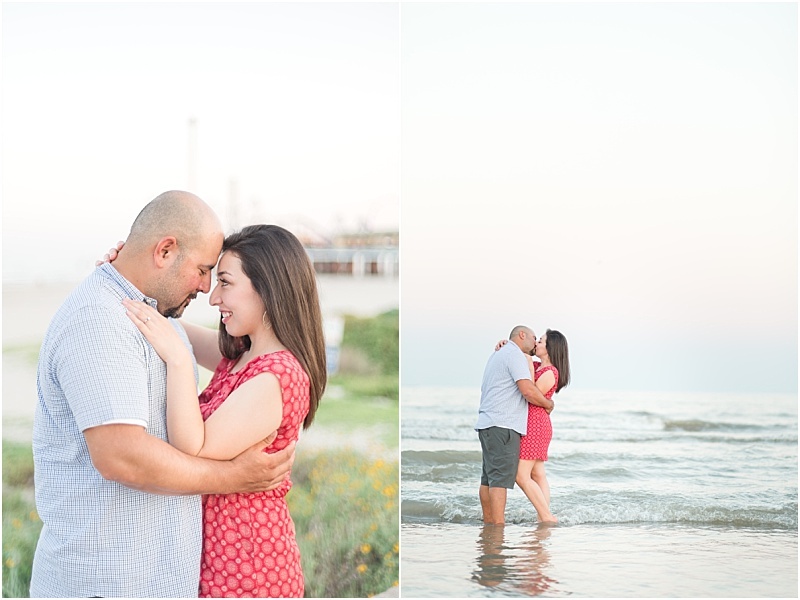 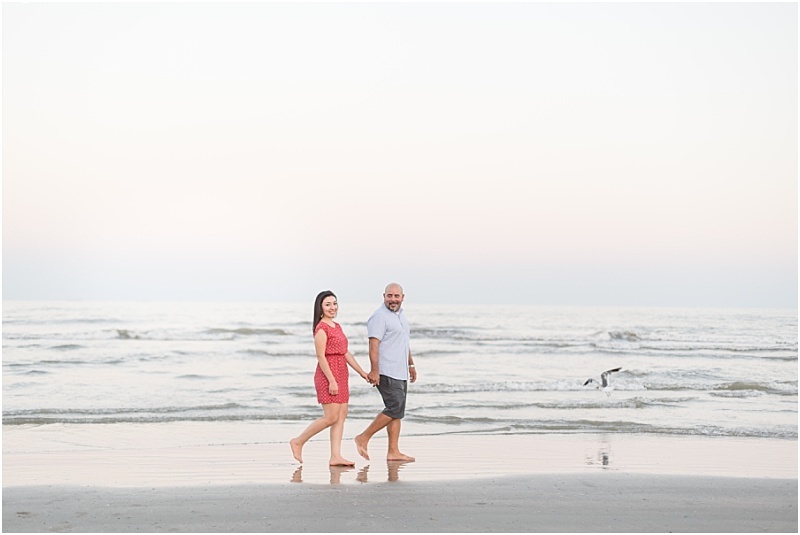 Krystal and Marc are getting married next Spring at the Roof Garden in Galveston so it made sense to go to Galveston for their engagement session! 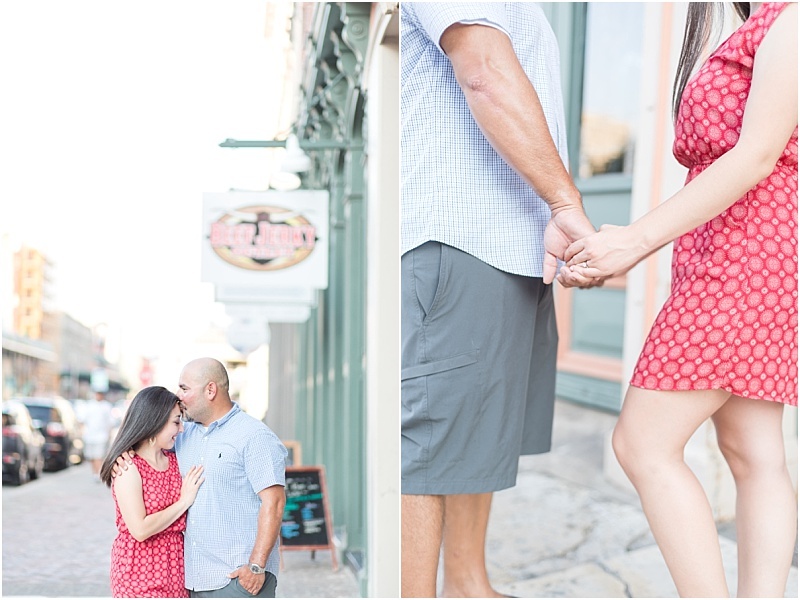 One of the things I love about shooting engagements here is that you get the option of two different locations. 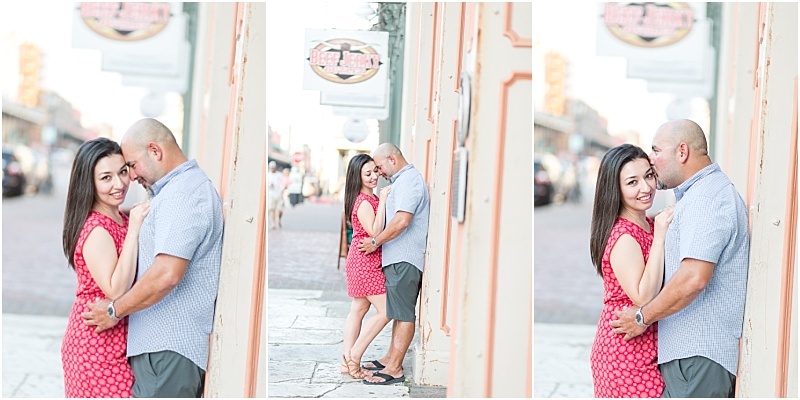 Downtown Galveston has so much character. 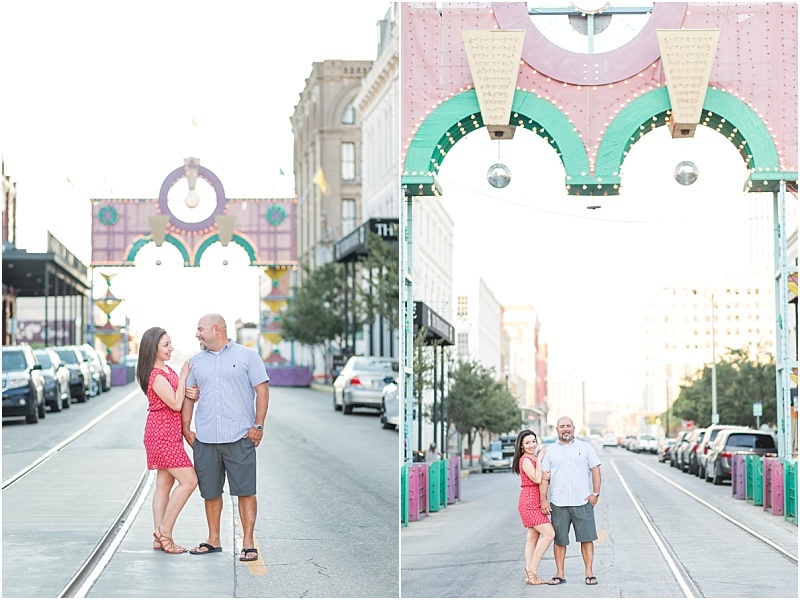 It reminds me a little of New Orleans, Savannah, and my hometown of Macon, Georgia. 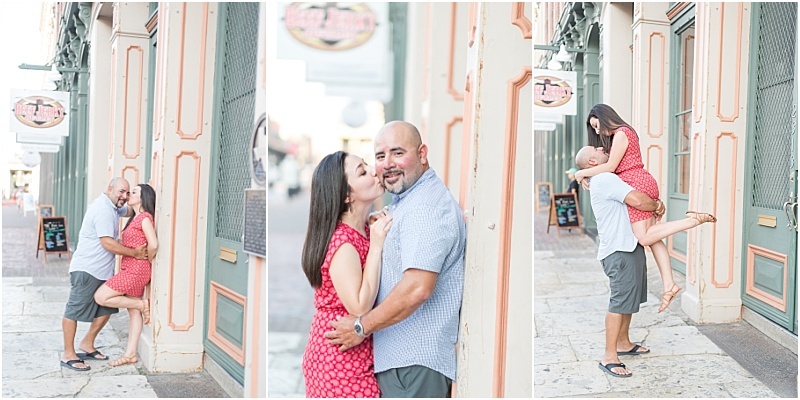 There are tons of cute streets, alleys, and storefronts to use for backdrops. 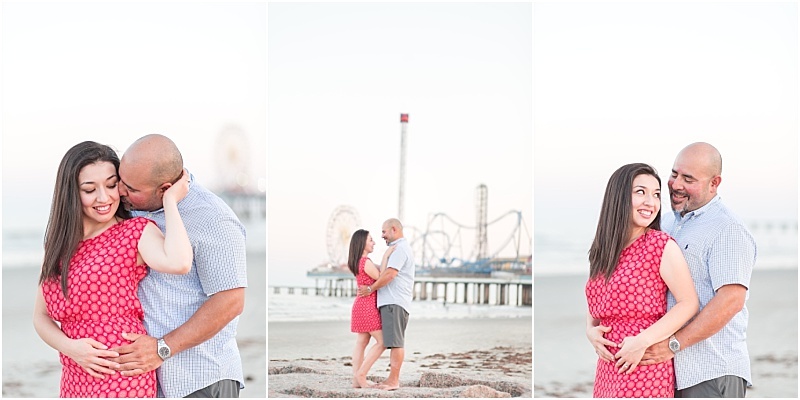 Just a few blocks over you have the beach and Pleasure Pier. 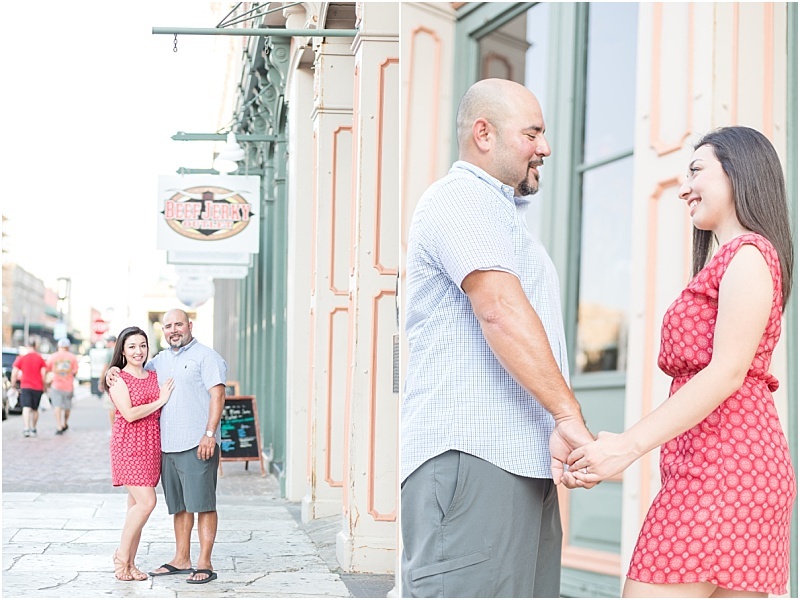 These two definitely kept it casual and natural so I think this was the perfect choice! 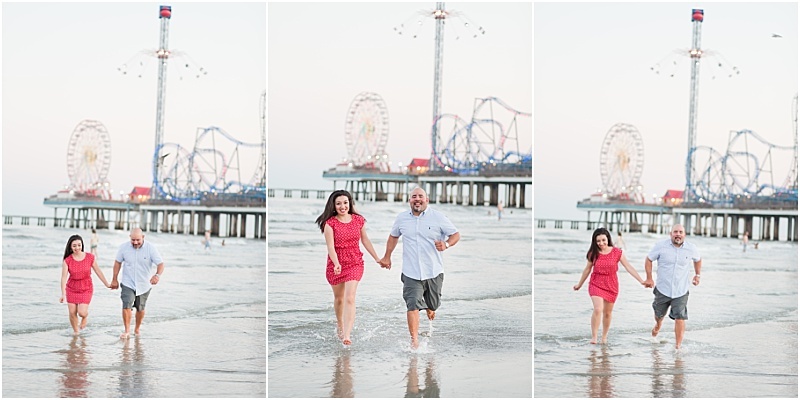 M favorites are of them running in the water. 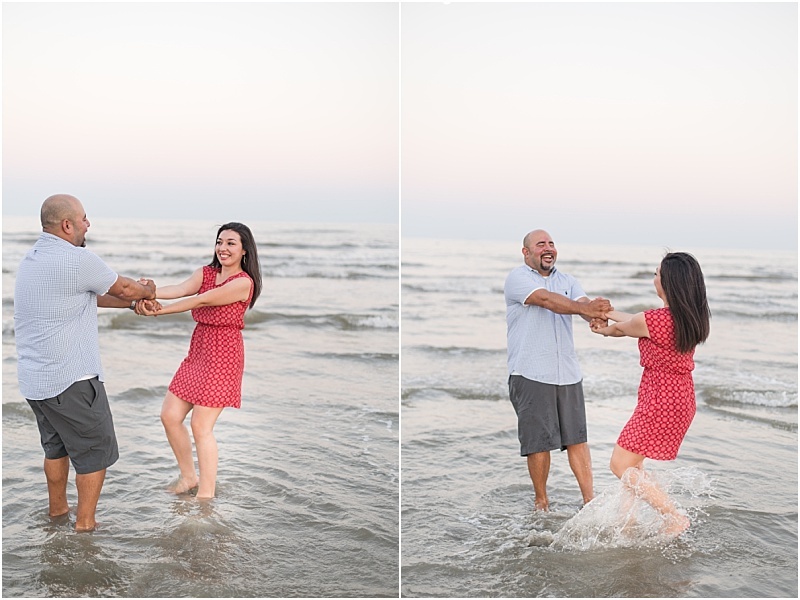 AH-dorable.